We'll need a copy of your government-issued ID. 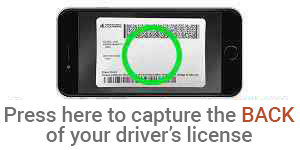 You can submit it here by taking a photo of the front and back of your U.S. driver's license. If you don't want to use this feature, close the popup window and proceed. How did you hear about NWCU? You're almost done! Please read the disclosure below and click the "I Agree" button in order to submit your application. Disclosure: By clicking on "I Agree", you authorize Northwest Community Credit Union to verify the information you submitted and obtain your credit report. Upon your request, we will tell you if a credit report was obtained and give you the name and address of the credit reporting agency that provided the report. You warrant to us that the information you are submitting is true and correct. By submitting this application, you agree to allow us to receive the information contained in your application, as well as the status of your application. ELECTRONIC SERVICES AGREEMENT. By marking the checkbox, you consent to receive your Electronic Services Agreement and Disclosures along with applicable Loan Documents and Disclosures with Northwest Community Credit Union electronically. You may access your Electronic Services Agreement and Disclosures and as a PDF document here: Electronic Services Agreement and Disclosures You must have a computer with internet access and Adobe Acrobat Reader™ software to access the statements and a printer or ability to download and save the documents for your records. Loan Documents and Disclosures are provided electronically via DocuSign where the creation of your signature and initials will be the electronic representation of your signature and initials for all purposes, including legally binding contracts. You have the right to request and receive the documents in paper form at any time or you may withdraw your consent by contacting any branch, by calling 800.452.9515 or emailing memberconnectcenter@nwcu.com. You can update your email address by contacting any branch, by calling 800-452-9515 or emailing memberconnectcenter@nwcu.com. There are no fees or account restrictions for choosing to withdraw your consent for electronic delivery or to request a paper document. I consent to receive the Electronic Services Agreement & Disclosures and Loan Documents & Disclosures electronically. You have clicked "I Disagree," which means you have declined to use our automated prequalification system. Please call our Consumer Loan Department at (800) 452-9515 or come into any Northwest Community Credit Union branch to apply in person. We'd be happy to assist you!